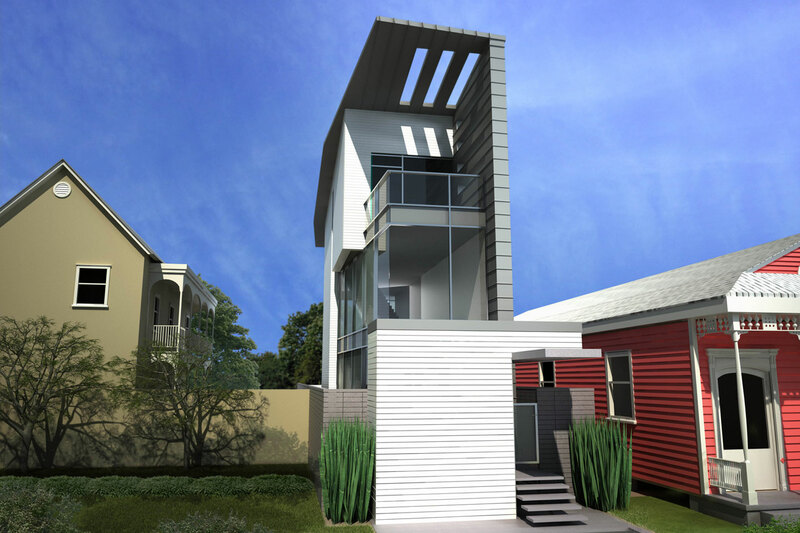 The Sliver House is an 1,800 square foot two-bedroom residence on a former single shotgun lot in uptown New Orleans. The narrow lot resulted in a building that is only 14 feet wide and three stories tall. The massing of the house is further ‘carved away’ at the front and back to better define exterior spaces while minimizing the building envelope for cost reasons. The terraces off the third floor master suite afford views of downtown New Orleans to the northeast and the Mississippi River to the south. 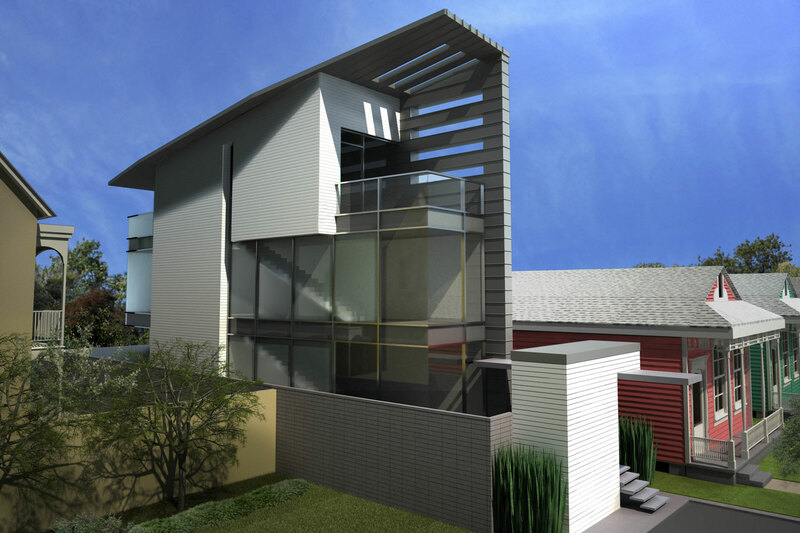 The project utilizes sustainable strategies including water retention, recycled materials, and a building orientation—based on the traditional New Orleans shotgun—that shades spaces from the sun while maximizing air flow. 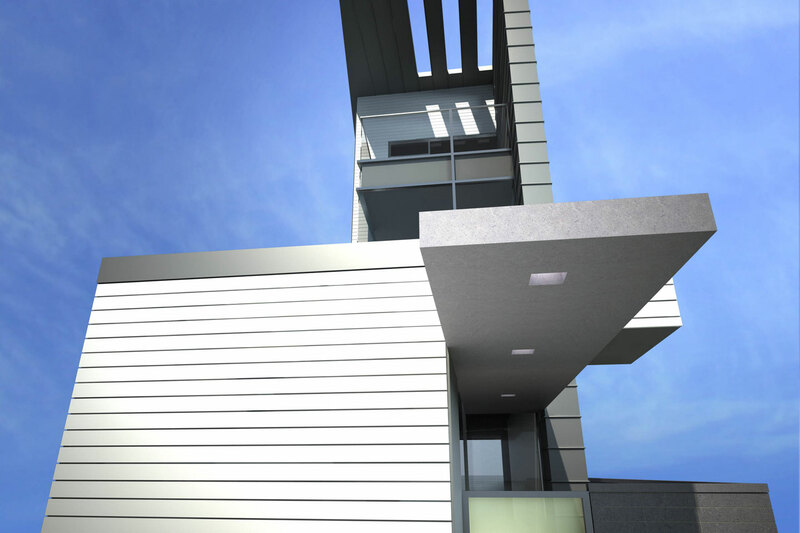 Solar panels integrate with the roofing material, which forms a continuous ‘folded’ surface with the west wall and is angled toward the south to achieve a greater incidence of sunlight for energy collection.